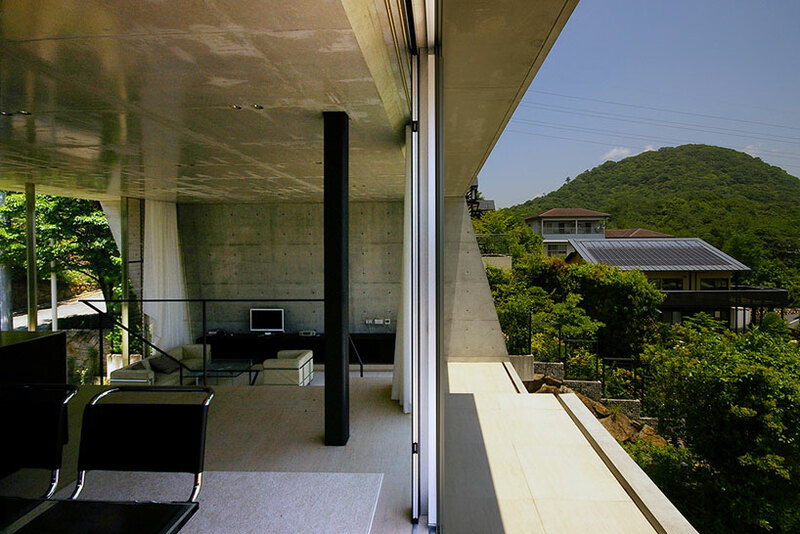 The Edge House sits in the Nishinomiya area of Hyogo. 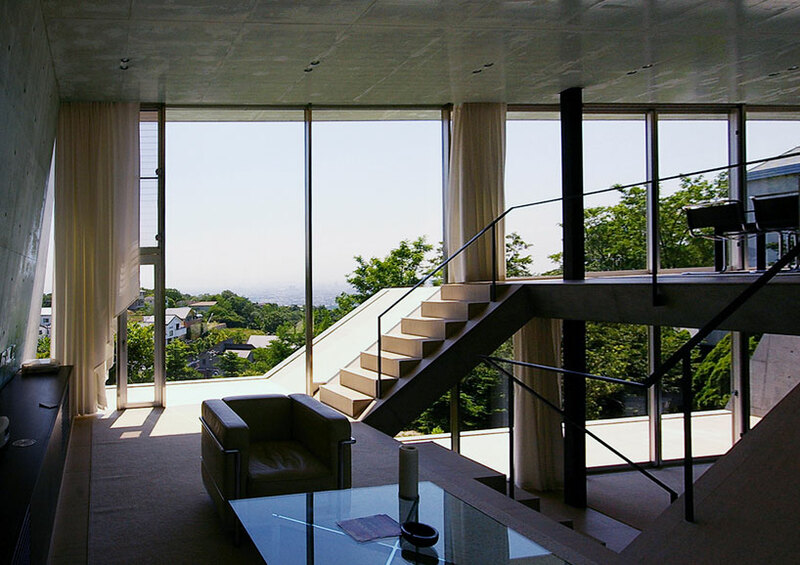 From this point the site commands a panoramic view from Kobe port all the way to the Osaka bay area. 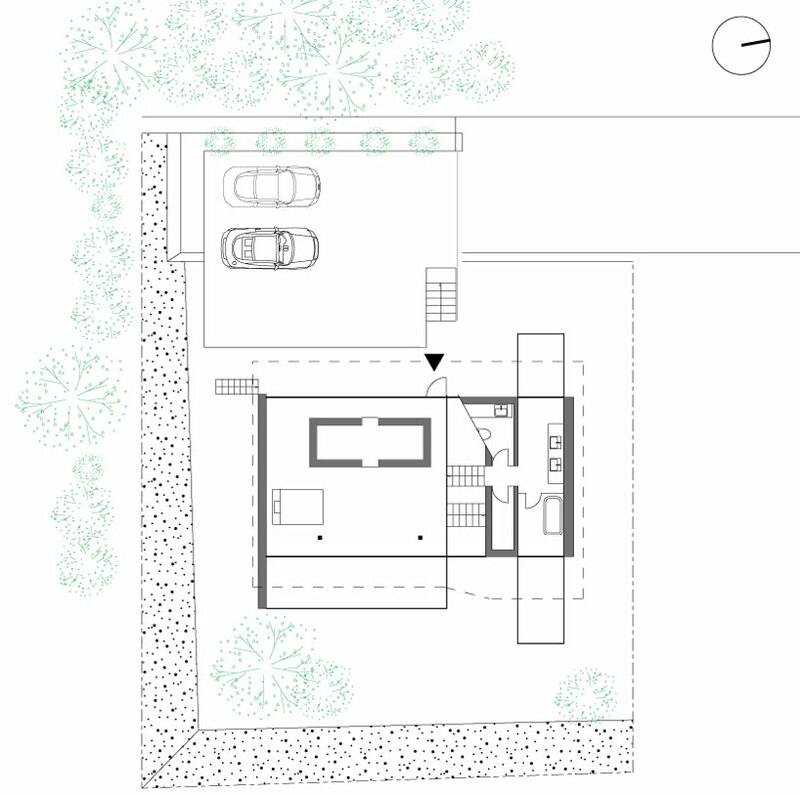 The client requested a space in the midst of nature to offer refuge from a hectic work schedule. 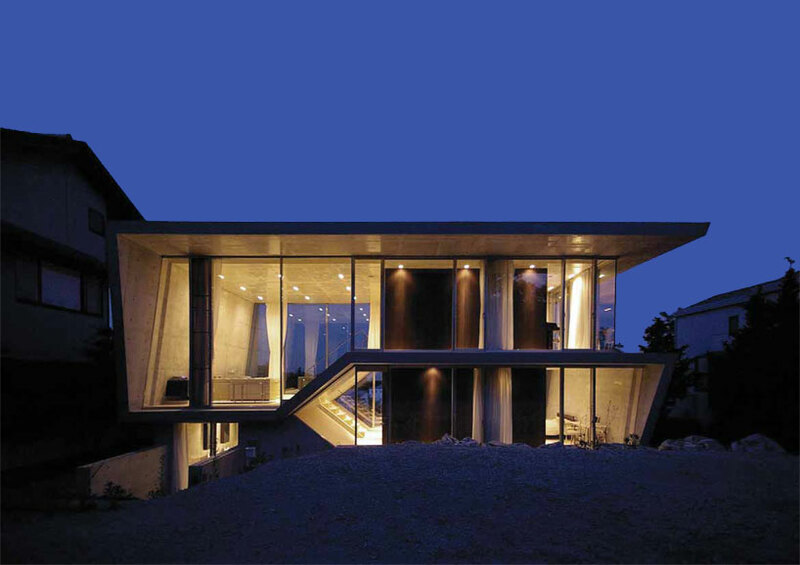 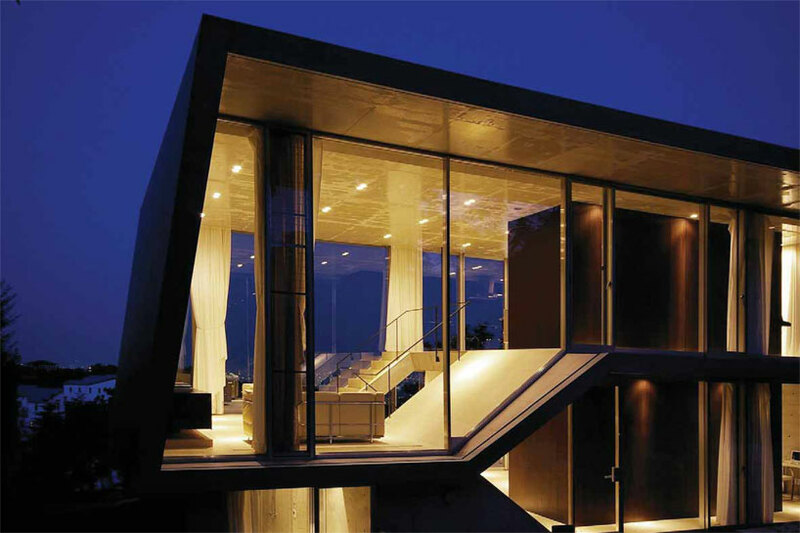 The result is an amazing design concept that utilizes the natural slope of the mountainside to create the appearance of a distinct two story home: from the exterior, concrete slabs “fold” onto themselves in the shape of an S, the interior however, reveals an open, connected space that follows the S-curve into a unique split-level design. 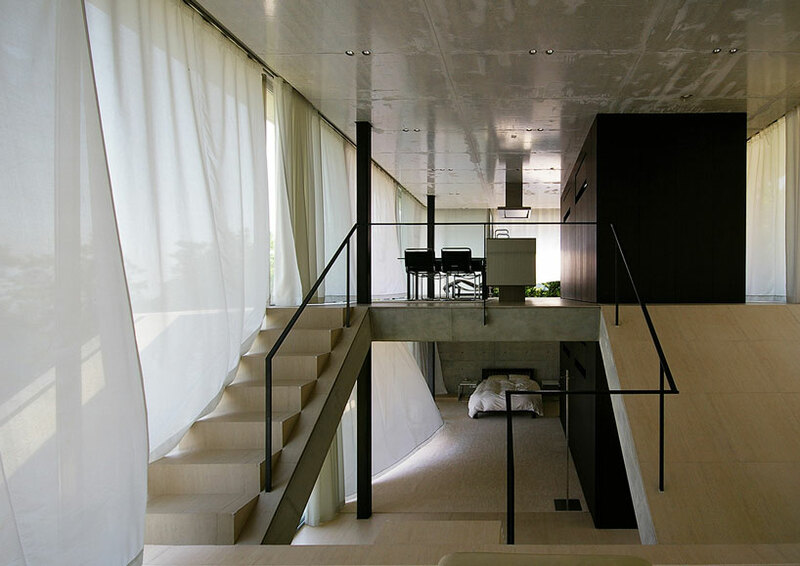 The living room, dining room, bedroom, and kitchen are not confined or hampered by walls. 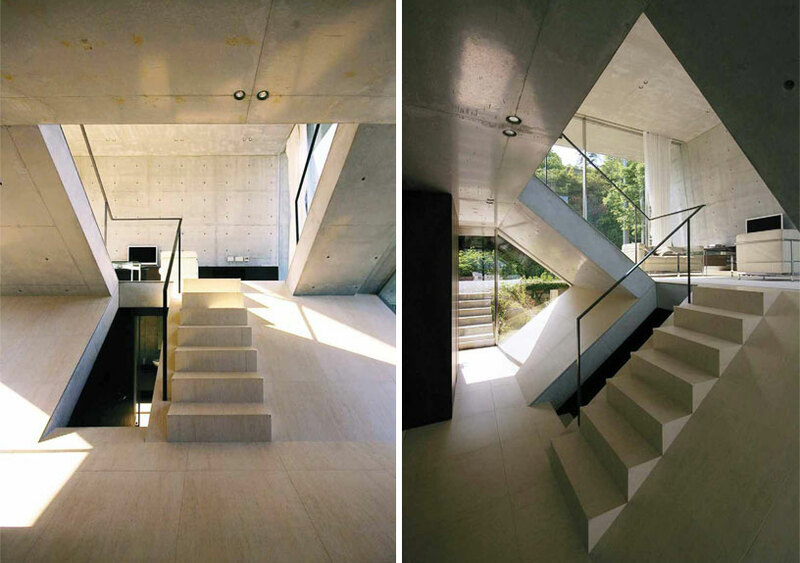 Like nature rather, spaces flow seamlessly through the length of the building, integrating simplicity and comfort.